​Why not step back into the Victorian era, and take a summer holiday to the beautiful British beaches? Back in the day when aeroplanes were an alien concept, British families had no other option but to take a trip to the nearest English sea-side town for a well deserved break. Whitby is a lovely Yorkshire, sea-side town with a wealth of local history as well as a long stretch of shore to have fun on. If you time it right and choose a sunny day, you can have a quick dip in the ice cold North Sea. Writing this post from a warm room, I can highly recommend running straight into the grand, wide ocean with no fear. However, it’s not for the weak hearted and if you last longer than 5 minutes I’ll be impressed. There is something therapeutic about submerging yourself in a body of water, you feel refreshed, rejuvenated and energetic, it could have been the hypothermia talking but it was definitely a possitive experience which should be attempted by all. 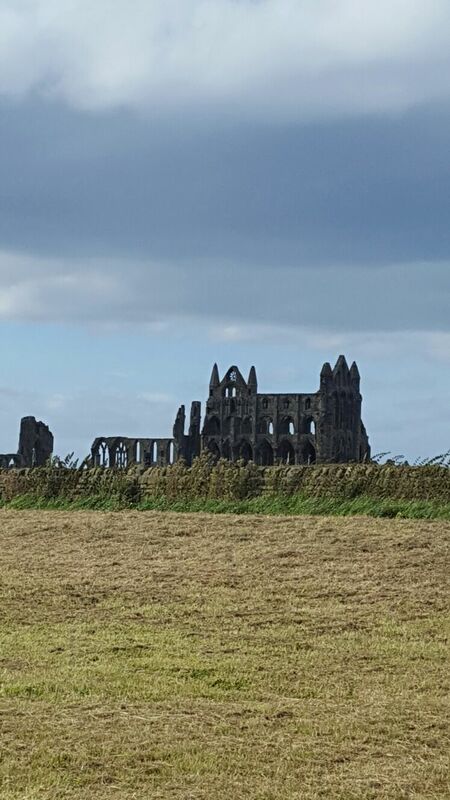 Be sure to check out the remains of Whitby Abbey. It amazed me how the intricate flower glass window frame managed to stay in tact at the front of the Abbey, while entire walls were missing. Supposedly, there are lots of ghosts and old haunts in and around Whitby. If this is your thing there are ghost walks and tours you can join. Having a mooch around the cute town of Whitby you will see enough sweet shops to supply the entire country with an endless supply of sugary treats for an eternity. My advice here would be not to buy the first thing you see. There are plenty of tea shops and pubs to rest the legs for a little while. With regards to parking in Whitby, it is best to park and ride, as spaces near the beach are limited. It is much easier to park for free and pay just £2.50 for a return bus ride to the beach. There is a train station in Whitby too if you do not have a car. 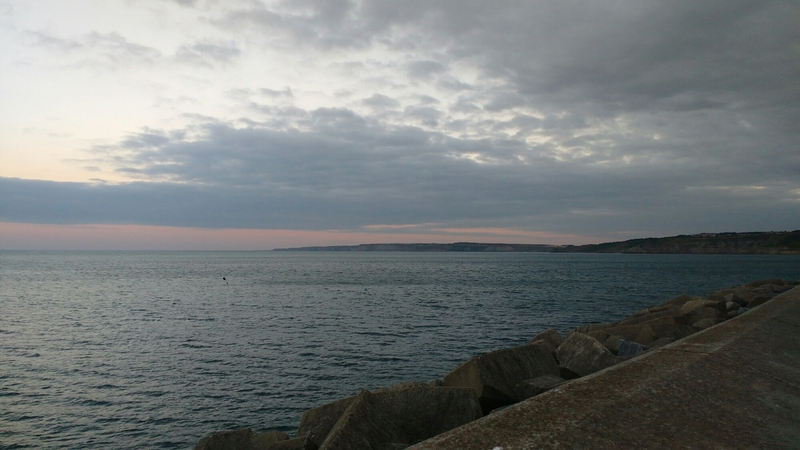 A thirty minute drive from Whitby is Scarborough – another old Victorian sea-side town (not as nice as Whitby). Here you can have some fun in the tacky arcades (the two penny machines will have you totally hooked!) Walking up the short stretch of beach with your shoes in one hand, your companion’s hand in the other and the warm sand surrounding your toes you’ll know your on holiday. Eating Fish and chips on a bench glancing across the turquoise, calm sea will be the perfect end to your fun filled beach day. 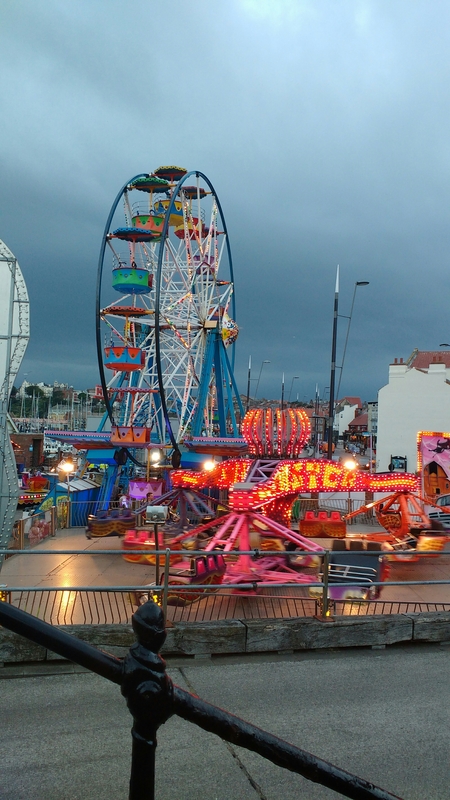 There is also a ferris wheel and various rides along the sea front, you can enjoy. The next day you could drive to Robin Hoods Bay, it is between Whitby and Scarborough. 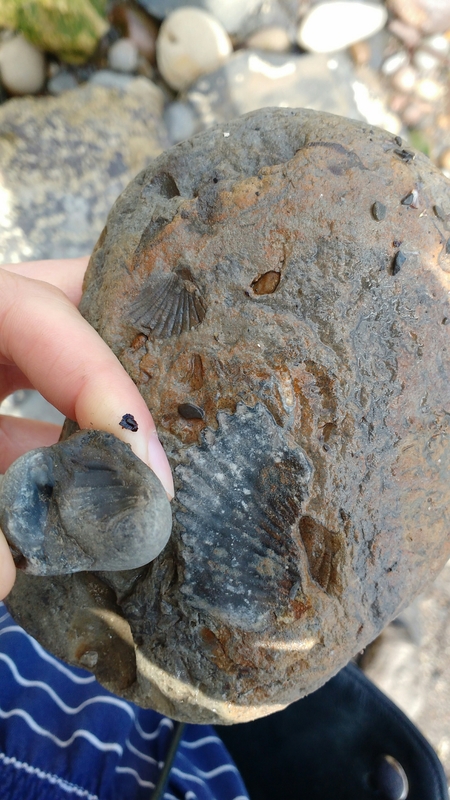 Robin Hood Bay is known for fossils hunting, with plenty scattered along the cliffs. There are also some great pools to do some crab fishing. In the town itself there are lots of lovely spots for tea or coffee or some sea food treats. 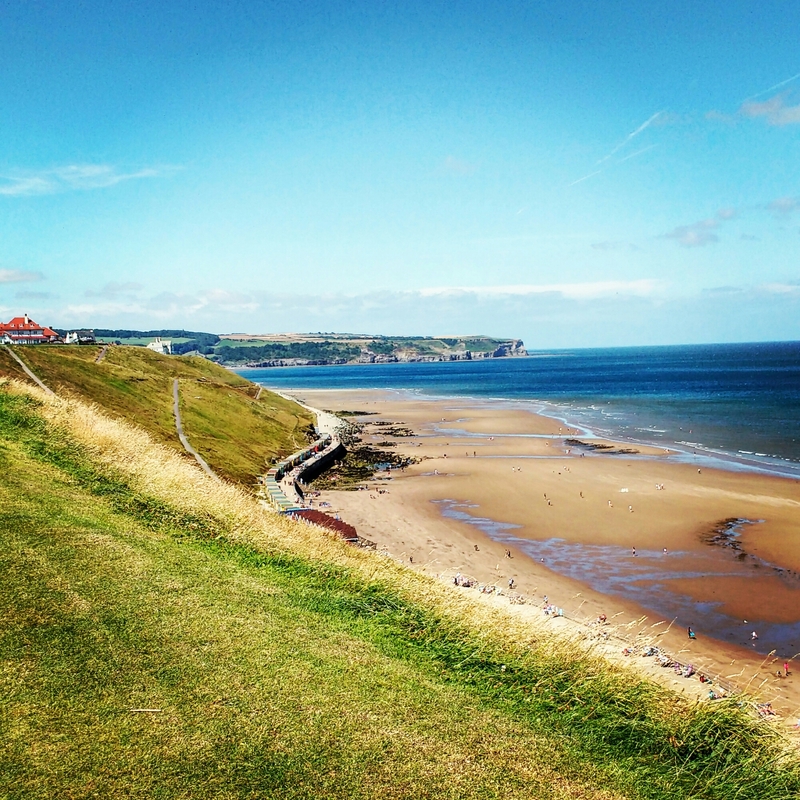 Accommodation -there are plenty of b&b ‘s in Whitby, Scarborough and Robin Hood. The best place to stay in is Robin Hood Bay because it is in the middle. Check out booking.comand air b and b for some deals. Food – three words = fish and chips!